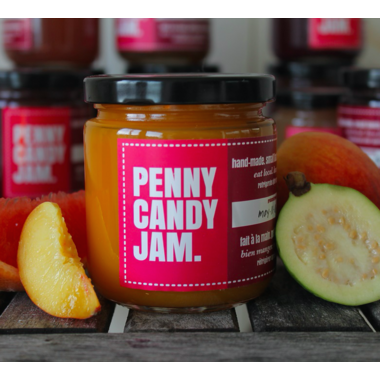 Guava revives the tropical flavour of the peach peel, while grapefruit subtly enhances the bitterness of the bright red flesh at the peach's core. Truly, this spread tastes like the whole fruit and nothing but the fruit! Pour this spread over freshly baked muffins or blend with coconut yogurt for a fresh, fruity snack. Pairs perfectly with Camembert, Gruyère cheese and honey. 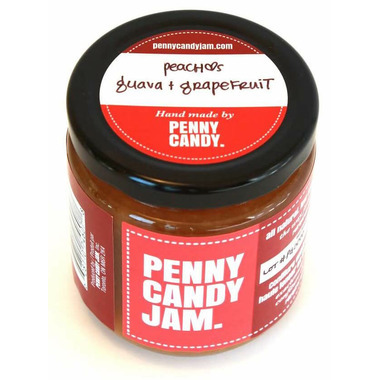 Ingredients: Peaches, organic cane sugar, guavas, lemon juice, grapefruit pulp, grapefruit zest.